Ahh, date night. What a special time. It’s nice to plan a romantic night away from the kids, the dog, and all obligations in order to spend quality time with the one you love. Or maybe you are just starting to get to know someone, and have butterflies in your stomach just imagining your second or third date together. Either way, the atmosphere in which a date takes place truly matters. You’ll want to make your reservation at a romantic restaurant in town that is known for its incredible cuisine and large selection of beer, wine or cocktails. If you’re on the lookout for fresh ideas to spice up your date night, you’ll need to consult our list of the best date night restaurants in the Toledo area! 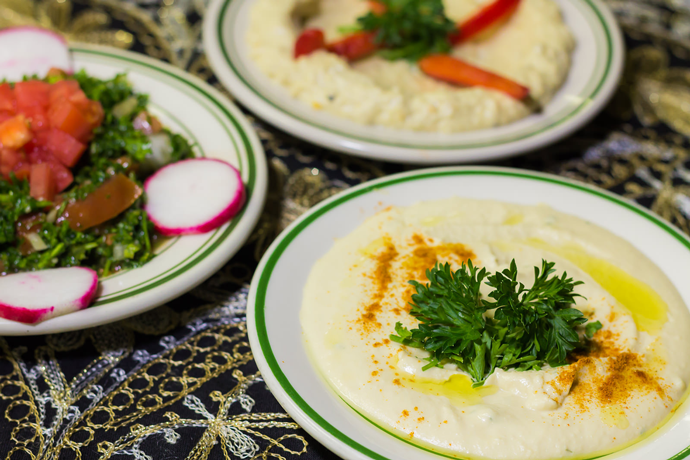 Branch out from the traditional date night restaurant with an exotic and cultural experience at The Beirut, a Lebanese restaurant that has garnered lots of attention since its inception in 1977. In fact, the television show The Official Best Of named the Beirut the “Best Restaurant in Ohio” in 2012 — and for very good reason! Stimulate your senses with a date night at this exotic restaurant featuring home-cooked, authentic Lebanese food in an eclectic atmosphere. A visit to Element 112 in Sylvania is not just a shared meal — it’s an experience. The restaurant’s renowned Chef Nixon incorporates the freshest seasonal ingredients into their ever-changing menu featuring small bites, cheese plates, eclectic main dishes, creative desserts and more. Make the night extra special with their wine pairings, where their expert staff will gladly pair wines for your evening, perfectly complementing any of their menu selections. This is a wise choice, as Element 112 features the only wine list in Northwest Ohio with three Wine Spectator Restaurant Awards! Both Toledoans and visitors alike can benefit from a date night in the heart of downtown Toledo, where you can take in the myriad of local attractions in the area before or after dinner. Consider enjoying a meal or grabbing some drinks at ICE Restaurant and Bar, conveniently located next door to the Huntington Center Arena and two blocks from Fifth Third Field. This relaxed and upbeat atmosphere is the perfect place to spend a more casual yet classy date night, while you enjoy any of their hearty entrees off their dinner menu and pair your choice with a craft cocktail. You always need to have a good sushi place on your radar when your next sushi craving kicks in — especially when it’s time for date night! Head to Kengo Sushi & Yakitori for some of the best sushi around, with a variety of seating options including a handful of seats at their beverage and sushi bar, as well as a standing waiting area where you can grab a few sticks of yakitori and a drink. 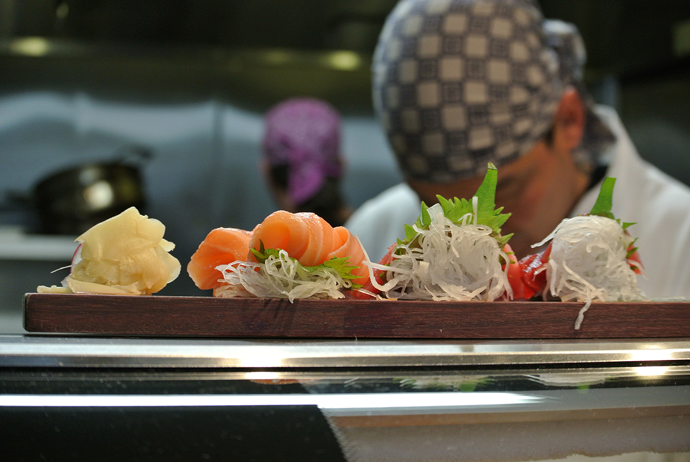 Wherever you sit, one thing is for certain, and that’s Kengo’s ability to craft some delicious sushi rolls. Opt for the “Omakase” option if you’re wanting a full-blown date night experience, where you’ll pay $75 per person to taste 12 courses/pieces that are completely up to the chef on that particular night. This is also the only way to guarantee a reservation at Kengo and ensures a fantastic experience for all involved. Italian food is a date night must, especially if it’s Italian food done right. Mancy’s Italian Grill specializes in homemade pasta, hand-tossed pizza dough, and slow-simmered sauces. They’ve expanded the traditions passed down from generation to generation by adding a modern twist to their concept. But all in all, you’ll feel right at home as you enjoy an exceptional Italian dish alongside your loved one with a glass of wine in hand. Mancy’s Steakhouse is one of the many restaurants owned by the culinary expert that is The Mancy Restaurant Group. The Mancy family oversees both Mancy’s Italian Grill and Mancy’s Steakhouse (among others), each of which provide the perfect atmosphere for your next date. 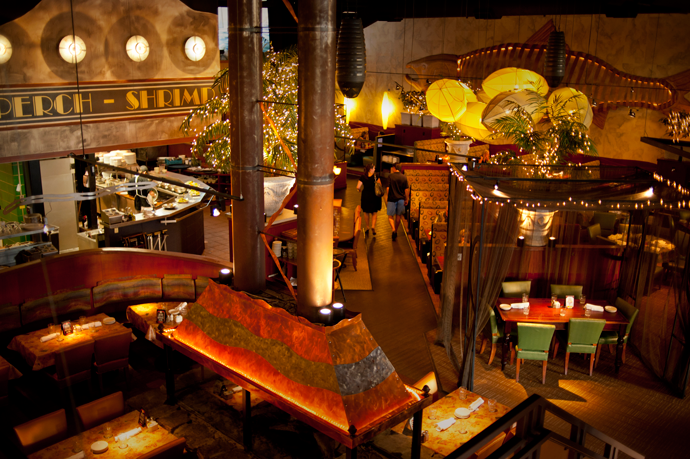 At the steakhouse, their steaks are aged and hand-cut on premise, seared at 1500 degrees, and expertly prepared. Choose from their selection of over 300 wines or 20 craft beers to create the perfect well-rounded meal to enjoy with your loved one. M’ Osteria Bar and Lounge is the perfect atmosphere for your next date night due to its industrial chic interior and upbeat vibe. Stop by for their selection of traditional Italian classics, artisan pizzas and state-of-the-art fare prepared with an emphasis on the freshest prime ingredients. Make sure you pair your meal with a drink off their impressive wine list, a signature drink, or a craft beer. And don’t forget to top your romantic evening off with a homemade dessert made with the finest ingredients. Ricotta cheesecake with salted caramel? Yes, please. What is a roundup of Toledo cuisine without mention of Real Seafood Company? This infamous contemporary seafood restaurant makes for a wonderful date destination — particularly when the weather is nice. Sit back on the outdoor patio and look out at the Maumee River while you enjoy fresh fish and seafood from the waters of New England to the Great Lakes to the Gulf of Mexico. Share fresh oysters, lobster, shrimp, and the robust flavors of seasonal and local produce at Real Seafood Company. Registry Bistro is your answer if you’re seeking a special evening on the town in a historic building with unbelievably good food. And who isn’t after that combination? This contemporary bistro delivers a menu that is both modern and classic, much like the atmosphere within. Dine in the natural light from a series of French doors set in the original footprint of the historic building. And peer over the Juliet balconies overlooking Superior Street and all the activity of the entertainment district. Peruse their menu for some light plates to share or a main course prepared with care by chef Erika Rapp. 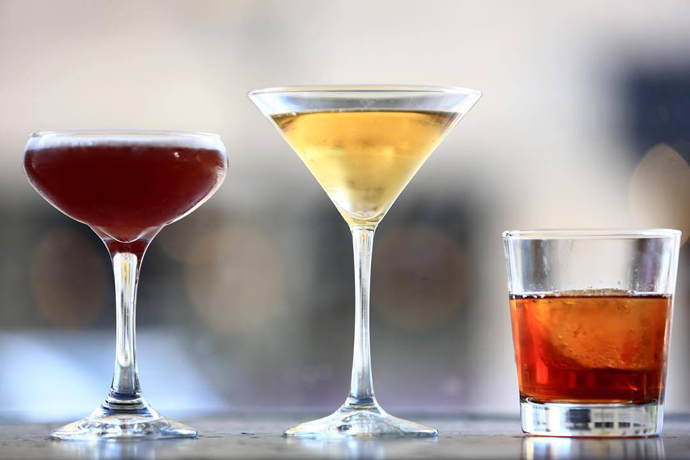 Be sure to pair your selection with a seasonal cocktail, one of their boutique wines, or an American craft beer! Step inside the historic Oliver House building and escape to Rockwell’s Steakhouse & Lounge, an upscale steakhouse featuring prime aged USDA meats, fresh seafood, and a wonderful drink selection. You’ll find all the fine dining must-haves, such as fancy table settings, elegant decor, superior service, and experienced bartenders. Get suited up in your finest attire and enjoy a special night as a couple at Rockwell’s Steakhouse & Lounge for your next date night! Rose and Thistle is a hidden gem in historic downtown Perrysburg where you’ll feel as though you’ve stepped back in time with the vintage, exposed-brick motif inside. But their menu is anything but vintage, as it is always evolving and reflects what is most fresh on a seasonal basis. You’ll find an abundance of meat dishes, fresh seafood, and the freshest vegetable selections from local and national vendors at Rose and Thistle. Their menu shines even brighter with their fine wine selection, variety of draught and bottled beers, and extensive collection of fine spirits. What is your favorite date night spot in town? Share the love! Let us know where you and your sweetheart love to share a meal together.